If you are concerned about your security - Our doors comply with Document Q - these are building regulations that covers the standards for doors and windows to resist physical attack by a burglar. It includes standards on being both sufficiently robust and fitted with appropriate hardware. The doors all have a multipoint locking system. The bi-fold and French doors have a 3 point hooked system. The hooks prevent the door from moving if there is an attack on one of the bifold hinges. The sliding doors have a slightly different locking system but still has the catches that locates in to the frame in a similar way to the hooked system. The locks that are installed into our doors - bifolding, sliding or French doors comply to the PAS24 standard. All the cylinders are anti snap and anti bump resistant. If security is a concern, we can also add extra locks to the hinged side of the door. 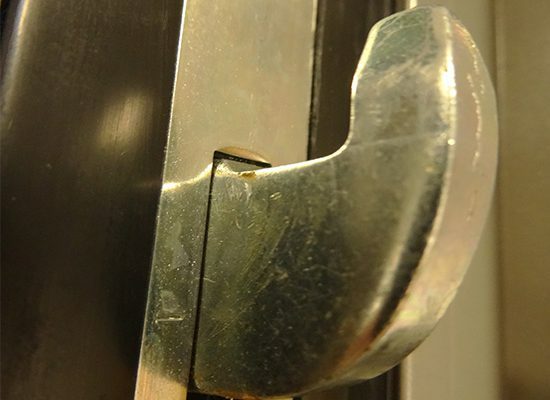 Snapping a lock occurs when a burglar literally snaps the lock in half. Thus allowing entry to the property. These locks are common on older types of UPVC doors. The cylinders we install into your doors are anti-snap resistant. A fake key can be inserted into the lock and is bounced into the lock to allow the pins within the lock to align and allow entry. Weak springs with in the lock allow the vibration to move the pins - once the pins are aligned the door is then unlocked. On the bifolding doors - the hinges that are on the outside of the door there are no screws which can be undone to remove the hinges. Each leaf of the bifold will be secured with 4 hinges. The handles are secured from the inside of the door - so that there are no screws available from the outside to undo. Laminated glass is a "sandwich" of different materials to give the glass differing properties. Where there is a safety aspect or a security aspect to the installation laminated glass will be used. Laminated glass varies in thickness depending on the properties that are being specified. Here is a cross section through a laminated piece of glass showing the different layers. If you have a particular security or safety concern. Please give us a call.